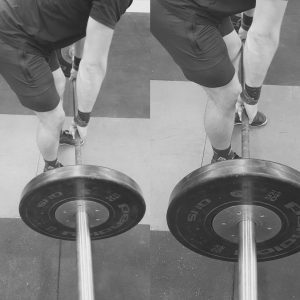 DEADLIFT TIPS FOR GETTING IT RIGHT! Realistically, if you can’t hip hinge correctly without weight, how are you going to be able to do it with weight? If deadlifts and back pain are something you struggle with regularly – you have to master the hip hinge. Keep the ribs down and keep the stick flat along your back. A good bracing technique is important to stabilize the spine. Think of your mid-section like a can of stability, wrapping around you like a corset and protecting your spine during a lift. Hold the brace throughout the entirety of the lift! Left: Upper chest rising first on inhalation which is not allowing maximal volume of air to be obtained. 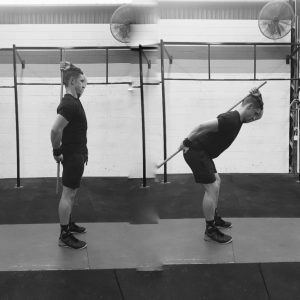 The further the bar moves away from your leg, the greater the force on your spine. 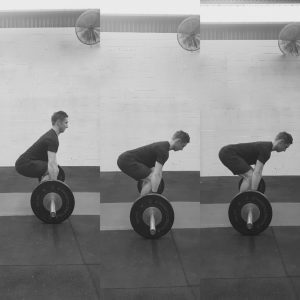 This could possibly be one of the easiest ways to mitigate any sort of back issue during a deadlift. Is the bar against my leg? Yes? Good keep deadlifting. No? Pull it against your leg. If you’re worried about scratching your shins, wear tights or football socks. There should be no daylight betwee the bar and the lifter, as pictured below. 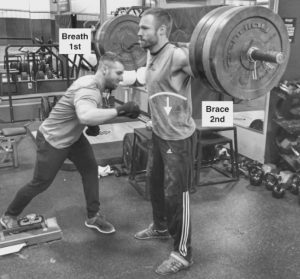 With an optimal set up like the lifter in the middle, your body is primed to use more of your posterior chain to help drive the bar up, and will actually help distribute the forces better along the spine. If your lower back is rounding, it’s probably too heavy. 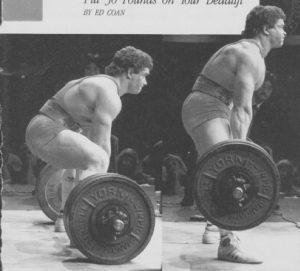 With that said, some of the world’s best deadlifters lift with a rounded back, so what gives? 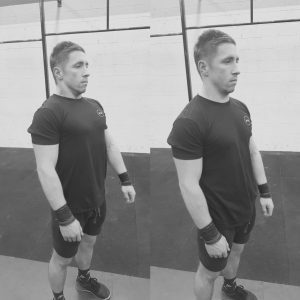 Well you’re not Ed Coan or Eddie Hall who have learnt to train effectively in that position over a long period of time – so train as often as you can with a neutral spine like the one demonstrated earlier. You’ll reduce your risk of the injury and the longer you can train without injury, the stronger you’ll get.